Hintsa Performance is full of fascinating professionals. 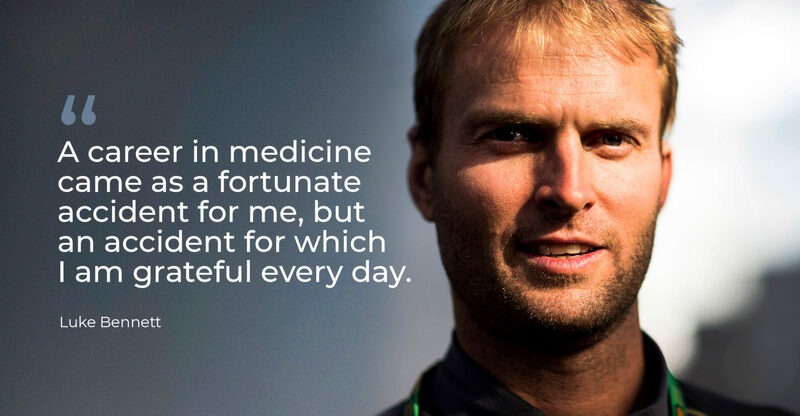 This time Luke Bennett, our Medical and Sports Performance Director shares his story. When did you first get interested in medicine and why? A career in medicine came as a fortunate accident for me, but an accident for which I am grateful every day. When it came to the deadline for University applications, I had no strong direction in mind, and actually included in my preferences a variety of degrees including business, law and urban planning. I knew a little about medicine having observed my father’s suburban general practice, and luckily this option ended up being my first offer… it is an incredibly diverse profession, with something for all personality types, and so allowed the luxury of a much later decision about precisely which speciality interest to pursue down the track. You worked as a flying doctor in Australia for a while, tell us a little something about that. 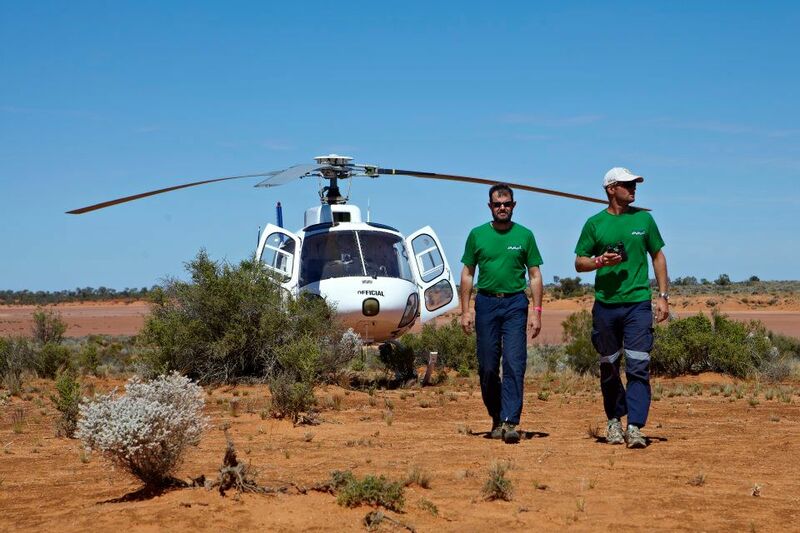 The Royal Flying Doctor Service of Australia is unlike any medical service, anywhere in the world. Western Australia is a single state province the size of Europe, with a population of only 2 million people scattered across tiny communities and small towns within incredibly harsh and remote environments. Major hospitals are essentially uneconomical to run, and so long distance aeromedical retrievals, even for the very sickest of patients, are the backbone of the health system. I was fortunate to work for the RFDS at a time when a booming mining industry, growing awareness of indigenous issues, thriving seasonal tourism and a foundation of hardy farming communities converged to produce a fascinating and furiously busy workload in this part of the world. Unlike a major city hospital where a very sick patient attracts a whole team of specialists to assist within minutes, our small team of doctor, nurse and pilot would often manage an undifferentiated, unstable Intensive Care patient for 12 hours or more in the confines of a very cramped aircraft cabin. It required a lot of improvisation and the ability to work systematically. Major trauma, mothers in premature labour, snake bites, severe infections, cardiac and respiratory arrests and violent mental health emergencies… terrifying at times, but when the dust had settled though a sleep-deprived fog at the end of a shift, the greatest source professional satisfaction in medicine. How did you end up working for Hintsa? During my Critical Care training and then throughout those years as a flying doctor, I volunteered, with a small cohort of other doctors and paramedics, to provide trackside medical and trauma rescue services to Australian motorsport events. This included 11 years at the Australian Grand Prix in Melbourne, as well as a couple of years at the Korean Grand Prix, and numerous remote off-road and rally events. After meeting one of Hintsa’s very first coaches, Adam Costanzo, trackside in Melbourne in 2008 (where he was guiding the early career of Lewis Hamilton), I was subsequently introduced to our founder, Dr Aki Hintsa and kept in touch with them both at motorsport events a couple of times each year. When Aki decided to step back from full-time Formula One travel in late 2013, I was fortunate to be in the frame to take over this part of his work. He later recounted that a passion for motorsport and experience working independently outside of a clinic environment were key attributes he was seeking in his successor. There is only one position like this on the planet, and it remains a source of amazement that I was in the right place and the right time to take up the opportunity. What gives you the biggest sense of accomplishment in your work? In my former medical life, there was nothing to replace the drama of being confronted with an overwhelming medical problem – a patient with 5 or 6 major system problems with only minutes to live, or a multiple-patient trauma scene – and then working through the problem, deploying resources in the correct order over many hours, and guiding a small clinical team towards a (hopefully) successful outcome. I also got a lot of satisfaction from counselling the families of very sick or dying patients through some of the worst moments of their lives. In Formula One, the medical work is very different, but managing a talented bunch of coaches and physiotherapists at the heart of a sport which I have watched for over three decades is a huge buzz. Having the confidence of our drivers and other key decision makers in the F1 paddock is an almost-unbelievable privilege, as of course is the thrill of seeing our people win races and championships. You travel for work extensively. What methods do you use to stay healthy with all that travelling? Hintsa principles are a great foundation for a lifestyle in business which parallels that of a top-level athlete. Managing sleep quality and quantity is the unequivocal top priority, followed by eating well, most of the time. We are lucky to have a selection of nutritious food in the F1 paddock, but airports and hotels can be a challenge. I like to use intermittent fasting or time-restricted eating, which can be extremely useful techniques during travel days. Although not currently training in any structured way, taking some time to integrate some movement into every single day adds significantly to health and longevity. What future projects are you looking forward to the most, at work or off-work? We have spent a couple of years growing and consolidating the basic systems of our business – recruitment, education and administration. Together with my Coaching Director Pete McKnight and other impressive collaborators like David Ferguson and Dr Tommy Wood, we are focussed now on truly starting to innovate in the area of motorsport athlete preparation, with a couple of formal research projects now underway. The state of the academic literature in motorsports is fairly dire for various cultural and political reasons, and being in a position to publish some relevant data is a unique proposition. Outside of work, I have an ongoing interest in ornithology, particularly shorebird and seabird conservation, and a goal to re-establish my triathlon career towards finishing the Hawaii Ironman sometime next decade!